If you have ever been denied coverage or have been forced to jump through hoops to receive treatment for a chronic disease, consider sharing your story with GHLF so that we can help others. GHLF's Patient Advocacy Institute is vehicle for people who want to use their experiences to educate the public about the need to protect coverage and improve access to care. Let your voice be heard, and share your story with us. 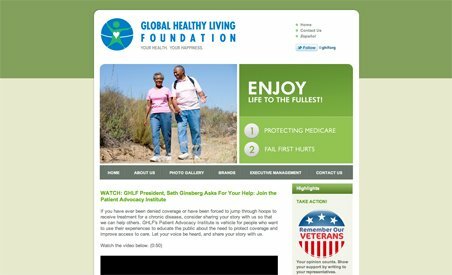 GHLF also runs three information websites: Creaky Joints, Creaky Bones and Red Patch.